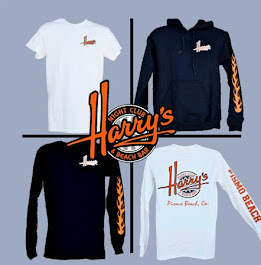 Harry's Night Club & Beach Bar: Harry's is now pouring Sextant Wines on tap! 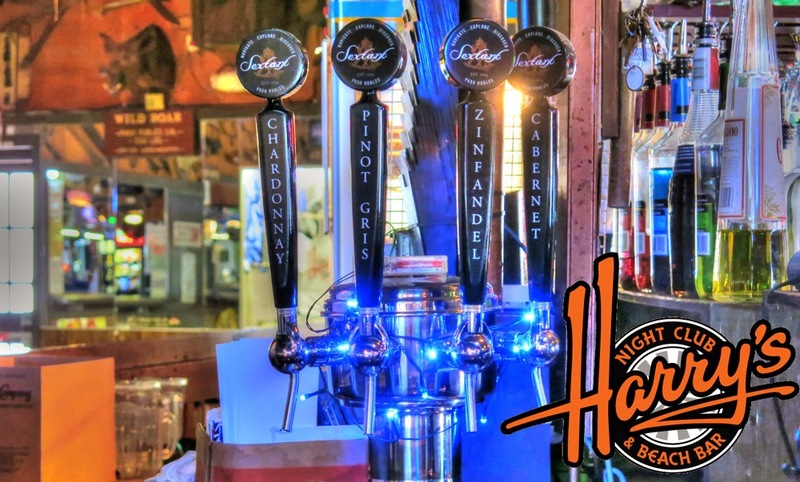 Harry's is now serving Sextant Wines on tap. We offer Chardonnay, Pinot Gris, Zinfandel & Cabernet. Premium wine in kegs never sees oxygen, so it’s guaranteed fresh all the time! So next time you're in the mood for a premier glass of wine, stop by Harry's! If you'd like to learn more about Sextant Wines, visit their website at www.sextantwine.com. Also, below is an article we wanted to share with you by Touring & Tasting featuring Sextant Wines. Enjoy! As Wine Enthusiast crowns Paso Robles 2014 Wine Region of the Year, Sextant Wines can be found at the helm. When Craig and Nancy Stoller founded Sextant Wines nearly 10 years ago, they decided that a Sextant—an old-world instrument using the sun, stars, and horizon to navigate across open water—aptly described Craig’s philosophy on growing and making wine. As a third-generation grapevine grower, the farming side of the business was nothing new to Craig. He and Nancy started their own vineyard in 2003, planting clones from several certified French, Portuguese, and Spanish winegrape selections, as well as rootstock from UC-Davis. Today, they produce Chardonnay and Pinot Noir from their cool climate vineyards, but their specialties are distinct Zinfandels, GSMs, and a Bordeaux blend. The winery is devoted to expanding the horizons of California’s Central Coast by using carefully selected old-world varieties harvested from three vineyards from three distinct AVAs: Sextant Vineyards in Templeton; MacGregor Vineyards in Edna Valley; and Chalk Knoll Vineyards in San Ardo. Winemaker Steve Martell, fondly known as the wine shepherd, joined Sextant in 2010. He spends a considerable amount of time in the vineyards, getting to know each vine. “Steve’s refined sensory skill, combined with his innate natural winemaking approach, is a perfect match for the style of wine I want Sextant to be known for,” Craig says. Wine tourists are invited to navigate, explore, and discover Sextant’s wines in two tasting room locations. The first can be found along the wine trail in the historic and quaint town of Old Edna. The second, the Estate, is located in West Paso Robles along Highway 46. This new, state-of-the-art tasting room is a must-visit, offering guests an overhead peek at Sextant’s production facility. They can pour their own tastings from an Enomatic dispensing machine, or relax by the fire in the members only suite. This new home to Sextant Wines is an engaging place to explore exceptional wines.